Table Mountain National Park stretches from Signal Hill in the north, to Cape Point in the south and is home to the world’s smallest, yet most diverse floral kingdom, The Cape Floristic Region. Whilst standing at Cape Point, it’s hard to believe that you’re standing at the southernmost point of Africa. 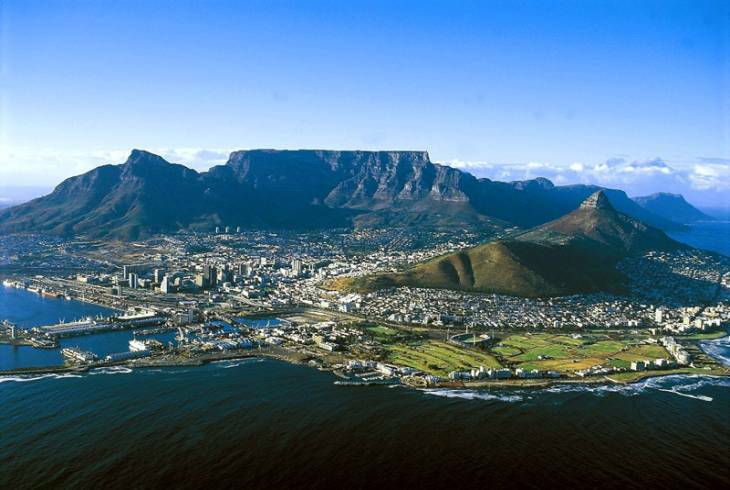 Table Mountain is instantly recognisable and is flanked by the smaller mountains, Devil’s Peak and Lion’s Head. Table Mountain National Park should be on everyone’s “must visit” list, whether you’re a local or an international visitor! There are plenty of activities to get involved with, ranging from open access hikes and gorgeous forest walks to picturesque picnic and day visit spots. The park is undeniably one of the most beautiful national parks in the world! The area exists almost entirely within a metropolitan area and you won’t see such spectacular beauty and rich bio-diversity anywhere else in the world. You could choose to go on one of the many hiking trails, test your stamina with mountain biking, or if you’re an adrenaline junkie, you could try hang gliding or mountain climbing. Popular picnic spots are located at the Signal Hill lookout, The Glen, Van Riebeeck Park, Newlands Forest, the Kirstenbosch Botanical Gardens, Constantia Nek, Oudekraal, Tokai, Witsand, Soetwater, Buffels Bay, Bordjiesrif, Miller's Point and Perdekloof. The park is a bird watchers’ paradise! There are number of endemic bird species like the Cape Sugarbird to watch out for but some of the park's most famous residents are the Jackass Penguins at Boulder's Beach. If you visit the park between August and October, you will be sure to catch a glimpse of the Southern Right and Humpback Whales. Conservation fees are payable at only three access-controlled sections of the park, Cape of Good Hope, Boulders Penguin Colony and Silvermine. Atlanta is a privately owned block of 3 apartments situated in Bali Bay - 500 m from the Camps Bay beachfront and restaurants - offering luxurious self-catering accommodation with wonderful uninterrupted sea views. CAMPSBAYGLEN is a beautiful little gem right on the edge of a green belt nature reserve (GLEN) with a beautiful mountain stream & waterfalls flowing through the garden. All Studios are fully self catering with own ablution / kitchenette facilities. Table Mountain National Park Information and Nearby Accommodation.